Maaland: Open call for participation 13-18.7. In Finland, many people own small pieces of land and forest, often inherited.. Literally, passed-along family trees. Imagine it may be possible to de-fragment the land, bringing it under common management, like a hard-disk. What would be the protocols of access and retrieval of information? 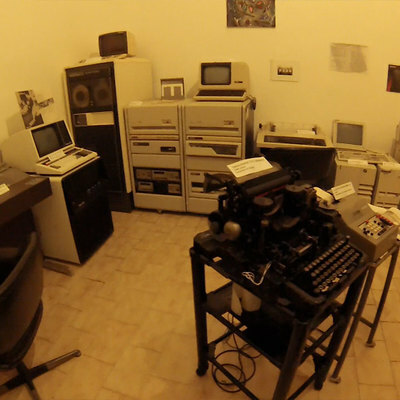 What might be the open-source ‘code’, ‘hardware’ or ‘wetware’ that comes with the land? Organised within the context of RIXC's Renewable Network and Pixelversity 2013 theme ‘Techno-ecologies’, including resilient agricultural infrastructure, art+bio-science collaborations, agroforestry, open hardware, and Commons management, we made an open call for participants to engage directly with the above subjects or initiates infrastructure which can support the exploration of these subjects. The 4-day schedule of activities was open plan, and was open to change. A group of ~15 persons from different backgrounds and interests gathered on Kemiönsaari/Kimitoön in South-west Finland, to explore this double-bind relationship from different perspectives. Hosted by Kimito-proto-dojo house, a personal house of 2 families, and includes a wood/materials workshop, mini-fablab, indoor & outdoor workspaces. From 8 remote international participants also joined the occasion in online video-chat spaces, sharing their ideas, their experience and and in some cases their bit of their land with us. See programme summary & list of participants below. * Maaland combines both the Finnish & Swedish words for land used in SW Finland. La-Su. / Sat-Sun. 13-14.7. Arriving..
Programme at Kimito-proto-dojo house.. 11-12: Round-the-table discussions 12-13: Lunch served 13.30-14.30: Afternoon practice.. Continuation of Solar oven building workshop led by Mikko Laajola Making of introduction presentation by Tuomo Tammenpää Programme at Kulttuurikeskus Villa Lande auditorium (Engelsbyntie 8, 25700 Kemiö).. 14.30-15.30: Lunch served at Lalla Vinde cafe 16-19: Maaland 'Public Sessions': Bambuser live stream/archive Introduction by hosts Andrew Paterson & Tuomo Tammenpää RIXC's short documentary clip of last summer's Renewable worklab in Pedvāle and Saliņas, Kurzeme region of Latvia, July 26–28, 2012. 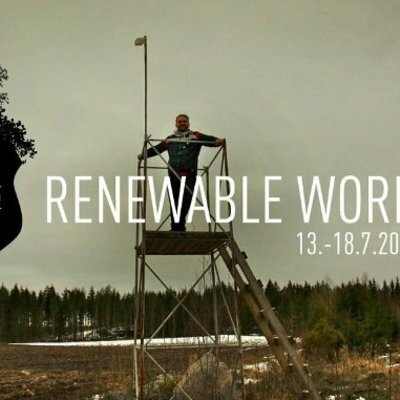 16.15-17.00: Remote connections.. Rasa Smite, (RIXC, Salinas, Kurzeme, Latvia) Malin Lindmark-Vrijman (Kultivator, Öland, Sweden) 17-18: Screening of Thomas Bagge (DK)'s documentary The Wedding between Art & Agriculture (2011, 39mins) 18.00-18.20: Introduction to Seeds Underground Party by Shu Lea Cheang (US/FR) Programme at Kimito-proto-dojo house.. 19-23: Ville Hyvönen from Helicam returns and make aerial video documentation 1st Kemiö Seeds Underground Party led by Shu Lea Cheang & dinner served. Pe. / Fri. 19.7. Day 5: Leaving.. Many of group went to Jättömaa/Wasteland Festival in Kouvola, SE Finland. Thomas Gunnar Bagge (Lerbæk, Storstrom, Denmark) "The Wedding Between Art & Agriculture is a documentary by Thomas Gunnar Bagge about Kultivator, an experimental cooperation of organic farming and visual art practice, situated in rural village Dyestad, on the island of Öland, Sweden. In the summer of 2010 Kultivator initiated The Wedding Between Art and Agriculture, an artist conference and public ceremony which intended to unite the two ancient activities. The film shows the preparation process before the wedding ceremony - with flashbacks to a variety of agricultural and social projects that Kultivator have initiated, and thus gives a glimpse into the experimental and idealistic world of Kultivator. Thomas Gunnar Bagge is a visual artist, filmmaker and curator. He was educated at the Gerrit Rietveld Academy and the Sandberg Institute, Amsterdam. http://www.thomasbagge.dk Jukka Peltokoski (Tampere, Finland) Jukka Peltokoski works as an educational designer and adult educator in KSL Civic Center for Adult Learning which is leftist third sector organization in Finland. Peltokoski has been active in many social movements from environmentalism to precarity issues and basic income initiative. Recently Peltokoski has been founding a new political research platform Commons.fi which is meant to deal widely with commons and p2p issues. Peltokoski's personal interests lie especially in the questions concerning new cooperativism and commons related social and political struggles. http://www.commons.fi/ . Post: Maaland: Open call for participation 13-18.7.